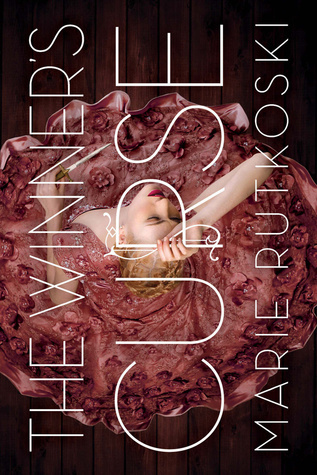 In April of 2014, I reviewed a book titled The Winner’s Curse, by a Marie Rutkoski. Ms. Rutkoski was a new author for me, and I wasn’t thrilled by the cover of the book, which seemed overly girly and screamed “Teen warrior chick romance.” But her book blew me away with its meticulous plotting, beautiful prose, and complex, intelligent characters. I had stumbled upon a true gem, and I eagerly awaited book two of this series. Well, book two is here, and all I can say is that it is sooooo much better than book one, and that is saying something. The Winner’s Crime continues the story of Kestrel and Arin from the first book. Kestrel is now living in the royal palace, engaged to prince Verex, son of the Valorian emperor. Arin, now the Herrani governor, still longs for Kestrel, but feels she’s betrayed him in a quest for power. The truth is that Kestrel is playing a bigger game than anyone imagines. Under the watchful and malevolent eye of the emperor, she must find a way to help the Herrani, stay true to her father, and keep hidden her deep feelings for Arin. A novel of intrigue, well-crafted lies, and soul-searing love. I won’t say any more than that about the plot. It is rare, for me, that I find a series that gets better as it moves along. Often, I read book one, and then read half of book two, disappointed by the author’s story choices. 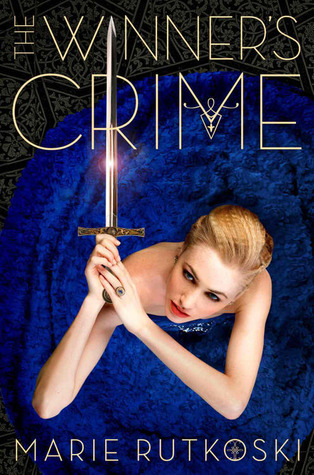 With The Winner’s Crime, I literally could not read the book fast enough. Brava, Ms. Rutkoski, for your brilliant work. The series shines on so many levels; world-building, character development, pacing, plotting….both books are simply marvelous. Read my review of The Winner’s Curse here. I read this book on the basis of the title, as I found it intriguing. “The Winner’s Curse” is a phenomenon that may occur after purchasing an item at auction, when the buyer regrets the high price they paid, or they find out that the item was not as described. Kestrel, the daughter of a Valorian general, buys a Herrani slave on a whim. Perhaps it is the defiance in his eyes or the stubbornness of his stance that attracts her, familiar feelings for the young woman. Kestrel is almost of age, and soon must make a choice: get married, or join the military. Kestrel wants to do neither; rather, she longs to make her own choices, to make her own way in the world. Kestrel knows that she has made a mistake the moment she buys the slave, named Arin. The Valorians have conquered the Herreni, and taken over their city. Arin should just be one more slave among many, yet Arin is not. Arin is dangerous to Kestrel, for he is intelligent, resourceful, and he listens to her in a way that few others do. By getting to know Arin, Kestrel begins to question the choices of her people, as well as the choices offered to her in life. She desperately wants a way out for herself, and for Arin. In a city soon to be ravaged anew by violence, Kestrel is forced to make some dangerous choices. Her choices may be dangerous to both the Valorians as well as the Herrani, but they may prove to be devastating to both Kestrel and Arin. This enthralling tale of star-crossed lovers is the first book of a proposed fantasy trilogy. I found this book to be very refreshingly told, because more of the story is told by what is not said than what is said between the characters. The verbal fencing that takes place between the characters reflects their intelligence, and demonstrates the game of wits being played, both between Kestrel and Arin, but also between Kestrel and just about everyone else. Kestrel is a strong female character in a world where woman only show their strength through battle. Kestrel wants more, and as she navigates the difficult path laid out before her, we sense that maybe she has a chance to get exactly what she wants. “The Winner’s Curse” is available now, both in hardcover and ebook versions, from Farrar, Straus, and Giroux.